Silicon Valley has been such a leader in technology for over two decades that it has sported a dizzying number of IPOs and huge stock option payoffs creating enormously wealthy entrepreneurs and its own class of marital problems when their marriages breakup. 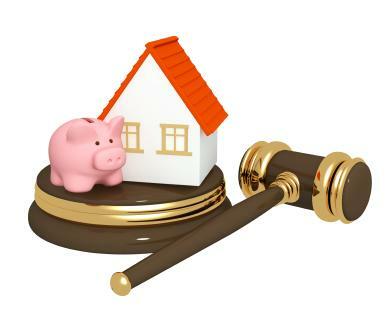 As a community property state, California divorce law generally holds that property obtained during a marriage is fair game, while separate property brought into marriage belongs to that person and isn’t part of the community estate when the marriage ends. It sounds simple, but for affluent entrepreneurs living in the boom and bust economy of Silicon Valley tech start-ups, it’s anything but fair. What happens when you make your fortune at a very young age and then get married and start a family? Common sense dictates that your pre-marriage fortune would be separate property as long as it was not co-mingled. Unfortunately, family court judges have broad discretion to determine whether a division of community property is fair and equitable based on the facts of each individual case. Take the case of In Re Marriage of Christopher Ross Larson v. Julia Larson Calhoun. The Washington State trial court awarded the ex-wife of an early Microsoft employee 100% of the couple’s community property worth $139 million, no debt, and an additional $40 million in cash and stocks of separate property. Ex-husband Larson appealed the court’s decision regarding the award of his separate property to no avail. The Court of Appeals upheld the trial court judge’s award of the husband’s portion of his separate estate to “achieve a just result,” citing the wife’s intangible marital contributions and the desire to ensure her financial security because the community property consisted mainly of illiquid assets and no cash. This frightening case proves that a family court judge’s broad discretion can result in the invasion and award of separate, pre-marital property in divorce proceedings. Former Chief Justice of the West Virginia Supreme Court Richard Neely has recently litigated these types of cases and believes the answer lies in well-constructed foreign separate property trusts created prior to marriage. There are several benefits to such trusts. First, there is no need to negotiate difficult prenuptial agreements with a potential spouse because the trust would already be in place. This could keep the romance and mystery of getting married intact and prevent contentious legal negotiations from straining relationships before marriage even begins. Next, inquiring spouses will learn that the trust is in place to protect the “family” from lawsuits by greedy plaintiffs’ lawyers, which is in fact one added benefit of such trusts. Lastly, these trusts protect the settlor against overreaching courts and vindictive ex-spouses attempting to take them to the cleaners by invading their separate property in divorce proceedings. It’s a win-win-win solution. If you have amassed considerable wealth, whether prior to marriage or have wealth following a divorce, don’t let your faith in the courts or your reliance on the “separate property” doctrine give a future ex-spouse the opportunity to take you to the cleaners. Our team of specialists are available to help you design the right “firewalls” to protect what you own. You have nothing to lose but half of your assets. Posted in Asset Protection, Client Alert, Scenario, Taxes / Laws and tagged asset protection newport beach, asset protection newport beach ca, asset protection planning assistance, estate planning newport beach ca, estate tax planning, heir education, heir estate education plan, newport beach ca business law, Verdon Law Group, wealth preservation.